Make a professional impact by printing stunning colour documents and marketing materials. 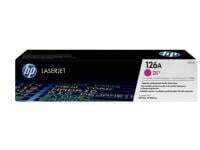 This toner's gloss delivers photo-quality graphics and images. Get business-quality results on a wide range of laser papers.